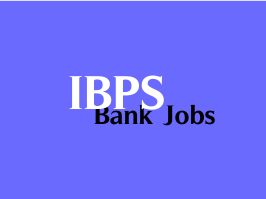 Institute of Banking Personnel Selection (IBPS) has published a Advertisement for below mentioned Posts 2015. Check below for more details. Educational Qualification : B. Tech. or B.E. or AMIE as a full time course, from a recognized university/institute in Electrical or Mechanical or Civil or Electronics & Telecom or Instrumentation etc. / M.C.A. / Post Graduate in Computer Science or M.B.A. with specialization in Marketing / Personnel / HR / Systems. How to Apply: Eligible candidates may send their application & necessary documents to given address below. Applicants must superscribe “Application for the post of Technical Faculty” on the top of the upper part of the sealed envelope containing the application. Address to sent Applications : The General Manager - Administration, Institute of Banking Personnel Selection, IBPS House, Plot No.166, 90 feet DP Road, Off Western Express Highway, Kandivali (East), Mumbai 400 101.